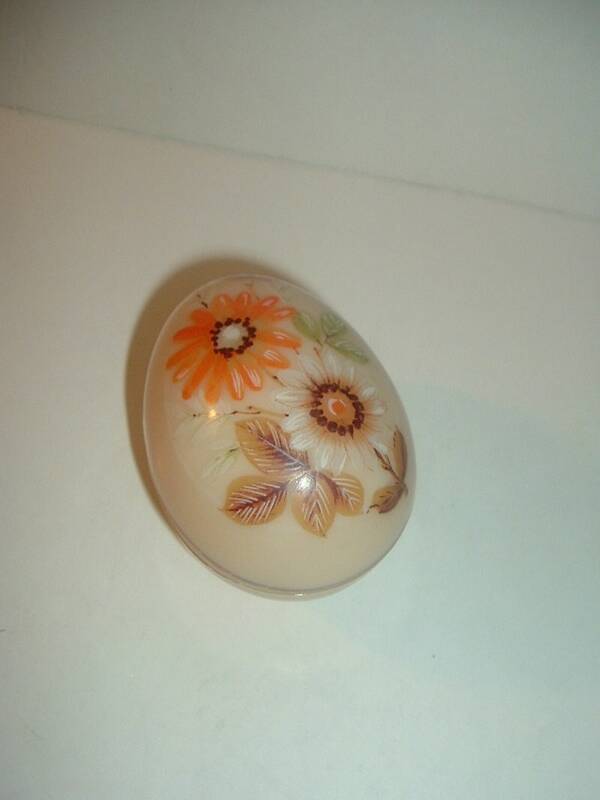 This Westmoreland glass floral decal egg trinket box measures approx. 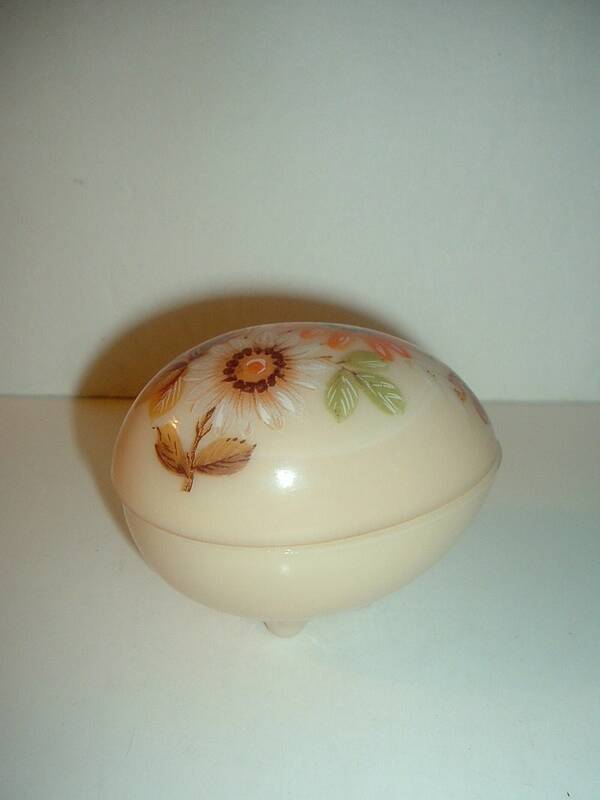 3 7/8"L and 3"H. It is done in almond with an orange and white daisy decal on the lid and three toes on the bottom. 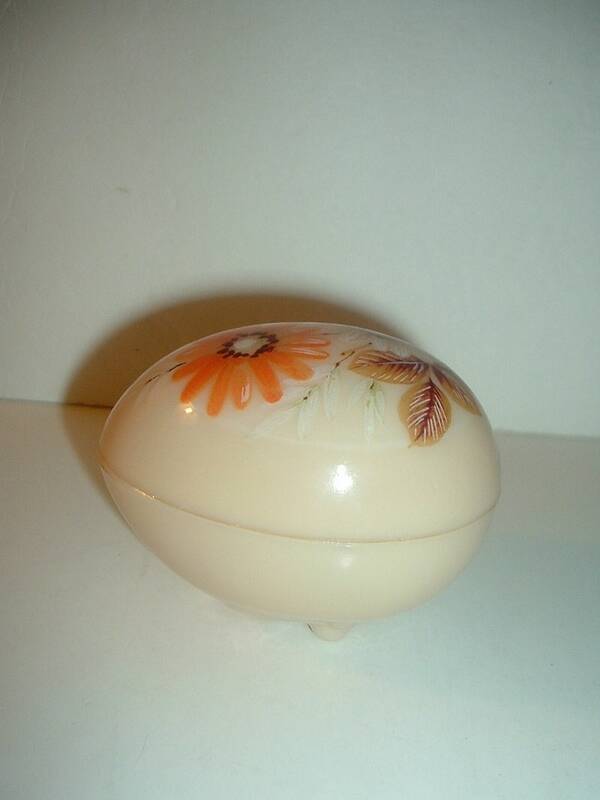 It is in excellent condition with no chips, no cracks, and no wear. 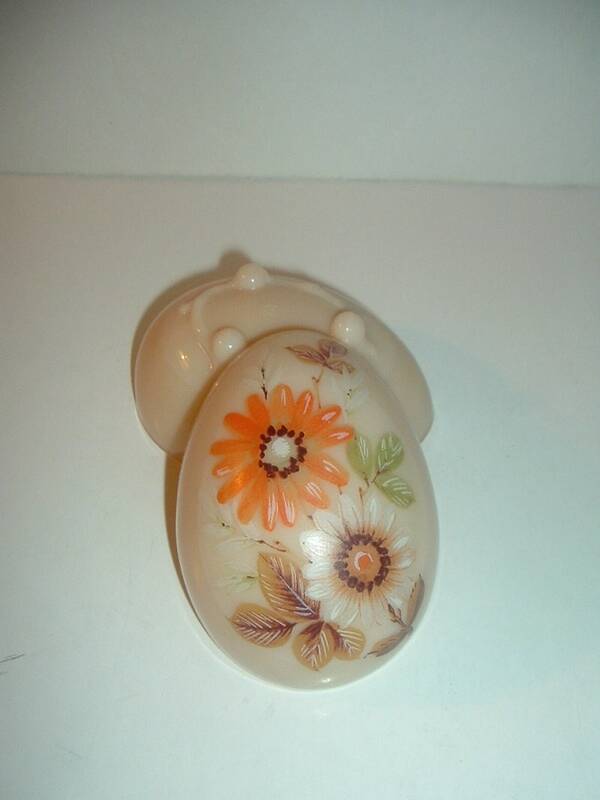 A nice one! I gladly combine shipping.